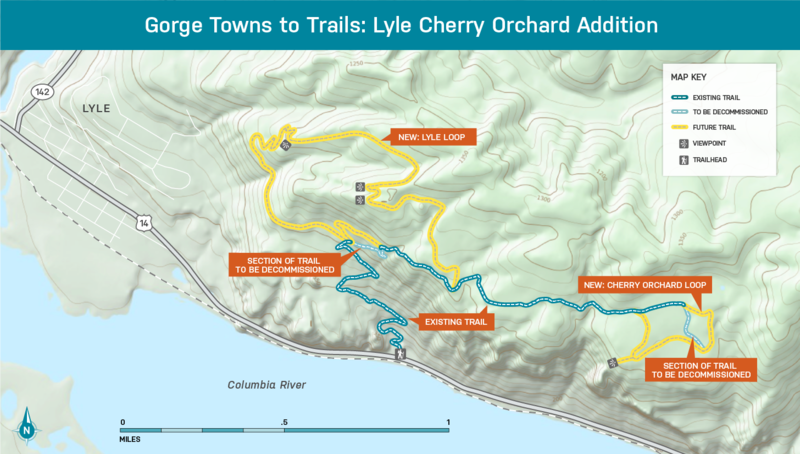 Work alongside Friends of the Columbia Gorge and Washington Trails Association for one day or the entire weekend, building a new trail at Friends’ Lyle Cherry Orchard land trust property. We’ll construct a new route to bypass a steep, treacherous section of the existing trail and create a new loop. Stay for the weekend which includes a Saturday campout and potluck or simply sign up for a single day. View a map of the trail expansion plans.